This square wicker style aluminium fire pit table by Paramount is the perfect centrepiece to your outdoor living space and your get-togethers with a stunning woven design on the base and lid. 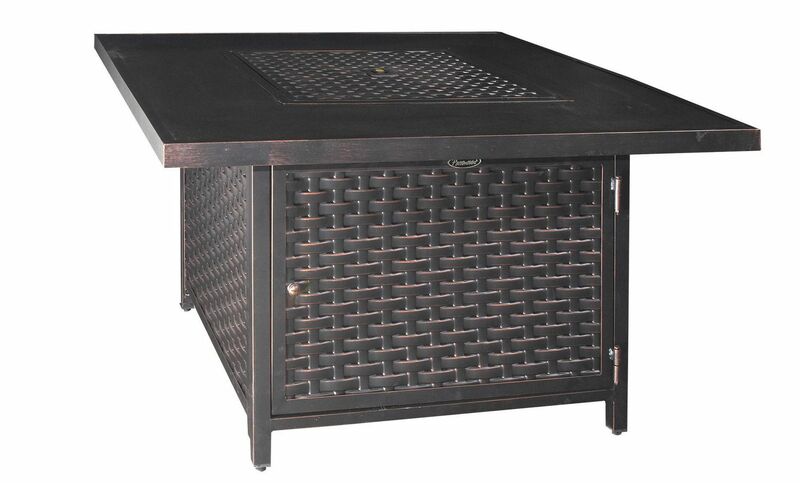 Made with 304 grade stainless steel burners and an antique bronze finished aluminium frame in a woven design, this fire pit table provides long lasting rust-free enjoyment. 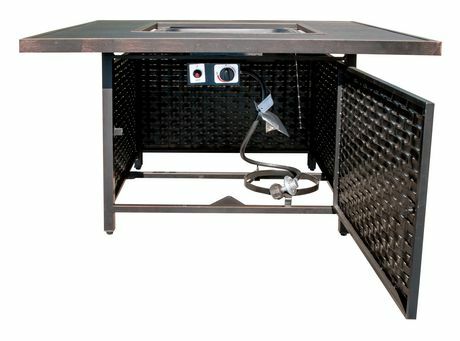 This powerful unit is equipped to be used with a standard 20 lb. 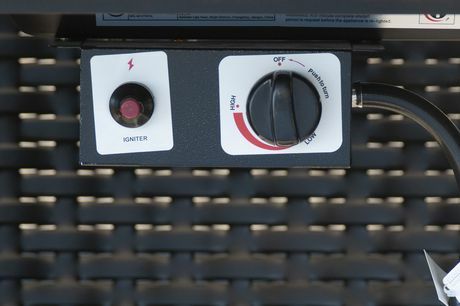 propane tank (not included) but also includes a kit to convert the burner to natural gas (natural gas hose sold separately.) 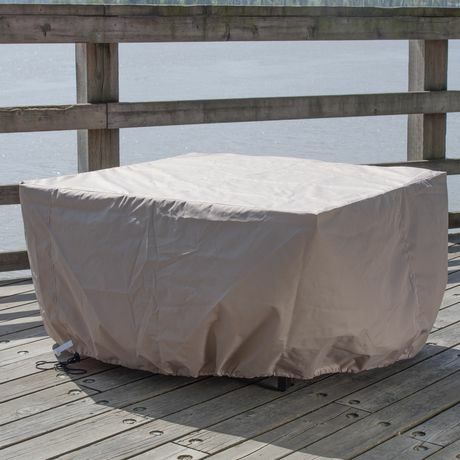 A water resistant fire pit cover is included to protect the table from the elements. For added style, this unit comes complete with decorative half round fire beads to add shimmering, sophisticated elegance to your outdoor space. 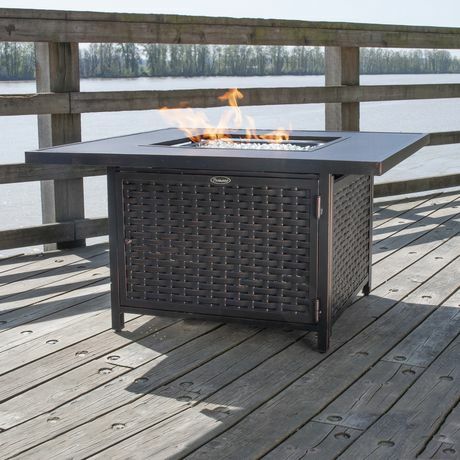 Warm up your nights and extend your outdoor living season with the Paramount Woven Aluminium Propane Fire Table.